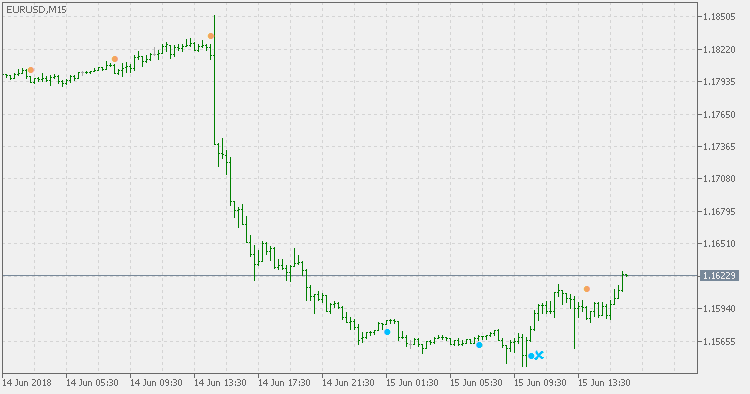 In his article Combining Rsi With Rsi, author Peter Konner describes the use of two different RSI calculations using different lengths to allow trading of retracements as well as longer-term positions. The five-week and 17-week RSI values are used for entry and exits while the 17-week RSI is used for trend direction as an entry filter in the retracement entries. This version of the indicator allows you to use any period combination on any timeframe, but keep in mind that the original was developed for the weekly timeframe.